The new proposal, if passed, would require vehicles to communicate information such as speed, location and direction travelled to help reduce collisions. US transportation secretary Anthony Foxx speaking about its decision to push vehicle-to-vehicle communication technology. NEW CARS COULD be required to have vehicle-to-vehicle communication systems fitted in as US regulators draft a proposal supporting it. By using this system, drivers will be alerted if the car senses it’s going to crash into an object or another car. It’s hoped that introducing this system will significantly reduce the rate of accidents and collisions on roads. Cars will be able to communicate with each other by using short-range radio signals and would be able to exchange vehicle information such as speed, location and the direction they’re travelling. No date was given for when automakers would need to introduce it or what the cost might be, but US officials aim to have a proposal developed before early 2017. Once the regulations are in place, automakers would be required to put in GPS sensors and software into vehicles. 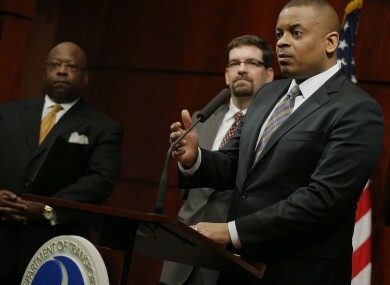 The US transportation secretary Anthony Foxx said data from a Transportation Department study, which started in 2012, showed that the technology could help prevent 80 per cent of potential accidents from happening. Both automakers and researcher have been working on developing technology to reduce collisions. While advancements have been made, other systems like developing a network which allows multiple cars to communicate with each other will need to be introduced. Email “US officials plan to reduce accidents by proposing 'talking-cars' system”. Feedback on “US officials plan to reduce accidents by proposing 'talking-cars' system”.